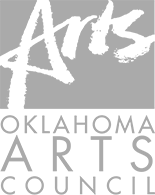 Pianist, Conductor, and Composer, Joseph McNamara serves as Tulsa Ballet’s Company and CDE Pianist. Joseph will complete his masters degree in orchestral conducting with Maestro Mark Gibson at Cincinnati Conservatory of Music in August 2018. During his time in Cincinnati, he worked for Cincinnati Ballet and studied under Maestro Carmon Deleone. Joseph has played for many choreographers and instructors, including Marcello Angelini, Daniella Buson, Victoria Morgen, Joseph Morrissey, Qi Jiang, Joakim Stephenson, Wendy Van Dyck, Jennifer McQuiston Lott, Deirdre Carberry, Nick Mullican, Hannah Baumgarten, Kim Sagami, and Diego Salterini. 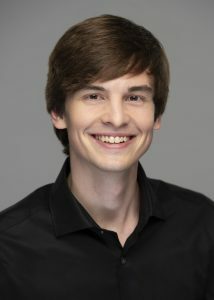 In 2018 Joseph served as conductor for CCM’s Sleeping Beauty. He has also held conducting appointments with Queen City Opera and Interlochen Arts Academy Orchestra. Joseph created the Interlochen Dance Orchestra, an orchestra completely devoted to the collaboration of dance for Interlochen Arts Camp. Additional conducting studies have been with Maestri Gerard Schwarz, Grant Cooper, Alan Gilbert, Marin Alsop, and Markand Thakar. Joseph’s career as a pianist started at Interlochen Arts Academy where he studied with Dr. Thomas Lymenstull and with Dr. Robert Palmer at Ball State University. Additionally, Joseph has studied ballet accompaniment with Steve Larson. Joseph has collaborated with Traverse City Dance Project, Interlochen Arts Academy, ‘Dance Now! Miami’ and CCM, premiering compositions specifically for dance.